Stefanos Tsitsipas is one athlete that deserves the title “wunderkind.” The 20-year-old Greek tennis star is the youngest player ranked in the top 20 by the Association of Tennis Professionals (ATP), and has a career-high ranking of No. 15 in the world. Now, adding onto his already impressive list of accomplishments, Tsitsipas recently became the world’s youngest Rolex Ambassador (or “Testimonee” as they prefer to call it). As part of one of the most important business agreements of his career, Tsitsipas will now wear Rolex watches both on and off-court, and also during the prize ceremonies where he will lift trophies. Rolex’s presence within the world of tennis is extensive, and they sponsor some of the sports’s most famous names, including Roger Federer (the World No. 3), Grigor Dimitrov, Dominic Thiem, Juan Martin del Potro, Lucas Pouille, Jo Wilfried Tsonga, and Milos Raonic. 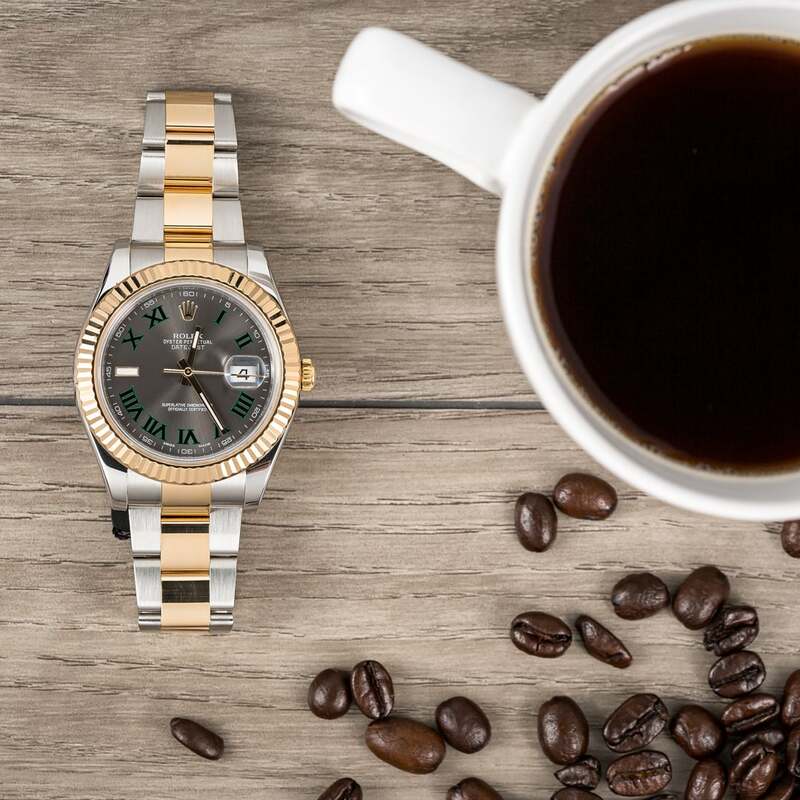 The partnership between Rolex and the sport of tennis dates back to 1978, when the Swiss watchmaker became the “Official Timekeeper” of the Wimbledon Championships. Today, Rolex retains the Wimbledon connection and also sponsors numerous other top tennis events around the globe including the Australian Open, the US Open, the French Open, the Rolex Shanghai Masters, the Laver Cup, and the Rolex Monte-Carlo Masters – one of the most exclusive tennis championships in the world, which dates all the way back to 1897 and is held at the prestigious Monte-Carlo Country Club. A Rolex Datejust II ref. 116333 with a “Wimbledon” dial. Before he was a Rolex Ambassador and a world-renowned tennis star, Tsitsipas was a child prodigy, having started playing at the age of just three. His early involvement in the sport is largely thanks to his parents; his mother was a professional tennis player, and his father a tennis coach. As a junior, he was ranked No. 1 in the world and won an early junior Grand Slam title in the 2016 Wimbledon boys’ doubles event, where he no doubt first caught Rolex’s eye. Tsitsipas won his first ATP match in 2017 and reached three ATP finals in 2018, racking up one victory, becoming the youngest player to defeat four top ten opponents in a single tournament along the way – including Novak Djokovic, current the World No. 1. At the end of the season he was awarded the title of ATP Most Improved Player for jumping from all the way from No. 91 to No. 15. Earlier this month Tsitsipas faced off against Federer at Italy’s Hopman Cup, which is the run-up to the extremely important, Australian Open. While a victory over the great “Fed-Ex” was a bit of a long shot (Federer earned a hard-fought 7-6 7-6 win), even being on the same court as the Swiss legend, who is 17 years his senior and a fellow Rolex Ambassador, is a major accomplishment. And with Rolex backing both players – as well as the tournament itself, the world’s most famous, luxury timepiece manufacturer was almost certainly pleased with their exposure for the event.